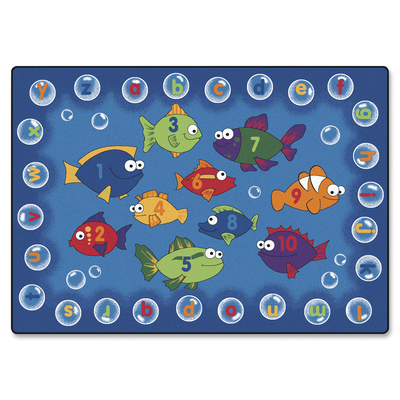 Fish-Themed Rug Features Fun, Fishy Friends That Will Get Children Hooked On Literacy And Counting. The Alphabet Bubbles On The Outside Of The Rug Provide A Perfect Setting For Children To Gather. Rug Is Perfect For Children Of All Ages..
Fish-Themed Rug Features Fun, Fishy Friends That Will Get Children Hooked On Literacy And Counting. The Alphabet Bubbles On The Outside Of The Rug Provide A Perfect Setting For Children To Gather. Rug Is Perfect For Children Of All Ages.